Qualified candidates who are looking for building science jobs in Toronto, ON can find employment with us at Belanger Engineering. 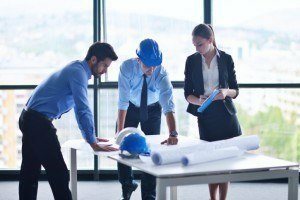 Building Science Jobs – Working in building science jobs usually involves a strong interest in construction, since the job requirements include designing buildings. The job duties combine the work of a civil engineer and the work of an architect, since a building science employee will work with both the aesthetic design of a building, as well as many of the internal systems. One of the main focuses for those working in building science jobs is improving the energy efficiency of commercial buildings. For this reason, coursework in a building science educational program will also involve learning about mechanical engineering and other aspects of engineering. Employees working in building science can also work with construction teams to oversee and manage job sites. All building science jobs require that candidates have a university degree, but since it is a more specialized field, more jobs are now requiring a postgraduate degree, as well. Those who want to work in research or education may even have to earn a Ph.D. Working in building science is a rewarding and lucrative career option for those who enjoy working with their hands and improving designs and functionality of buildings. Qualified candidates who are looking for building science jobs in Toronto, Ontario can find employment with us at Belanger Engineering. 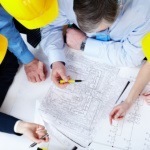 We have dedicated staff members with experience in their building science jobs. Since engineering is often team-based work, we strive to provide a strong atmosphere for collaboration. Our company president also shares his own experiences to help mentor and guide staff members at all levels. At Belanger Engineering, we provide building science jobs to residents of Toronto, GTA, Mississauga, Markham, and Ajax, Ontario.